Hearing aids can make a tremendous difference in your ability to live a full life. If you’re like most people we treat, you’ll want to wear them for several hours a day, seven days a week. Today’s hearing aids are designed to be more durable and resistant to damage than ever before, but like other complex electronic devices we use heavily, they still need regular maintenance and even the occasional repair. In addition to our 30-day, no-obligation, “Try Before You Buy” guarantee that ensures you’re happy with your hearing aids, the devices we fit you with at Value Hearing Aid Center come with a manufacturer’s warranty and free lifetime maintenance. Whether you need your hearing aids cleaned, adjusted or sent out for repair or replacement, simply bring them into our office and we’ll take care of the rest at our on-site lab. With our staff’s thorough knowledge of how to care for and troubleshoot many styles and models of hearing aids, we’ll have your device looking and sounding as good as new, while you wait. Dirt, moisture and earwax are three of the biggest threats to hearing aids. When your hearing aids get dirty or damp, it affects their performance and can even damage their internal parts. Cleaning your hearing aid with the right tools on a regular basis is one of the best ways to prevent unnecessary downtime while your hearing aid is being repaired. Because we understand the importance of cleaning to your hearing aids’ performance, we’re happy to help you keep them clean and working their best. If you’re unsure of how to clean your hearing aids or just think they need a little extra TLC, visit us. Whether you purchased your hearing aids from us or another hearing clinic, we’ll clean them as a complimentary service. 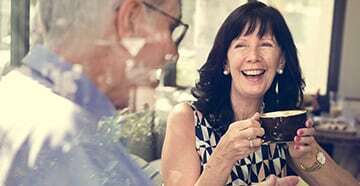 A hearing aid that’s not working right means frustration and down time, and we all know how important it is to hear well for daily activities like conversing with others, listening to media and staying alert to the environment around you. If your hearing aids stop working or aren’t working as well as they should, bring them into our office for troubleshooting or repair. We will complete simple steps to test their function, complete repairs right on the spot or even replace standard parts. If we’re unable to fix your hearing aids with our tools and expertise, we’ll send them to the manufacturer who can. Knowing how time-sensitive your hearing needs are, we’ll monitor their progress and notify you as soon as your hearing aids are back in the office so you can be scheduled for a re-fitting and get back to your healthy hearing lifestyle. The longer you wait to clean or repair your hearing aids, the more demands you place on them, which can lead to more serious problems and more expensive repairs. If your hearing aids need to be cleaned, adjusted or repaired, bring them into our office as soon as possible. We’re here to help! Take our hearing fitness survey and start your journey to better hearing! 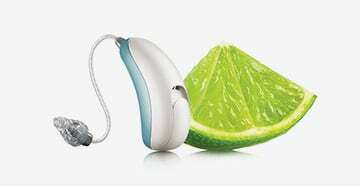 Check out our latest specials on hearing products and more!